Thanks for your interest in open positions in the Law Department. The Law Department also hires paralegals and legal secretaries. Please check the City’s online application portal (https://www.austincityjobs.org/) for information about all our job openings. Note: you must go to the online application portal, establish a profile, and apply for a specific position through that site in order to be considered. We encourage you to review the sections below for more information about working in the Law Department. Our City. With close to a million people, Austin is the 11th largest city in America. We are a vibrant, growing community at the top of everyone’s list for best places to live, and always among the top cities for business, recreation, music, education, and families. Our Office. The City of Austin Law Department is a full service law practice of about 65 attorneys and 40 additional staff who support our City government. We work on cutting-edge Constitutional issues, litigate every day in local, state, and federal courts, and take the lead on complex finance deals, real estate transactions, and regulatory issues with very high levels of public interest and engagement. We are highly respected by our clients, have a great reputation nationally among our peers, and take pride in knowing that we’re helping our community and its residents. While we are diverse in our backgrounds and experiences, we have a collegial and congenial office culture built on a foundation of respect and mutual appreciation. If this kind of law practice sounds good to you – read on! Maybe a career in the City of Austin Law Department is right for you. Our Work. The Law Department advises our City Council, our City management and staff, and our 60+ volunteer boards and commissions. Like private law firms, we research, we draft contracts and other documents, we litigate at the courthouse, and we meet with our clients. The scope of our practice is very broad. In addition to the typical local government operations like police, fire, and parks, the City of Austin owns the local electric and water utilities, the airport, and a huge convention center operation. The City has a $4+ billion dollar annual operating budget and 13,000+ employees. This size and scope of City operations puts the Law Department in a unique position to participate on the front line in bringing monumental, lasting projects in our city. 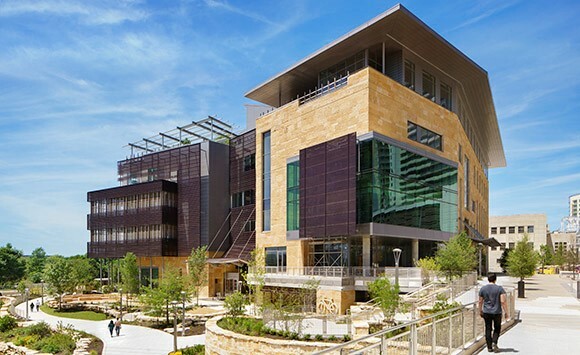 Two recent high-profile examples include our new Central Library facility (https://library.austintexas.gov/central-library) and the City’s public-private partnership to rebuild and revitalize the downtown Waller Creek basin (http://www.austintexas.gov/department/waller-creek-1). Outside of Work. Our employees make a difference not only through our legal work, but also through personal involvement in our community. We feed the hungry, build houses for the homeless, tutor school children, staff shelters in times of emergency, provide volunteer legal services, and take leadership roles in a variety of local and national charities. We also participate actively as speakers in bar association programs at the state and national level. In short, the Law Department offers a great combination of interesting and challenging legal work for a stable and highly respected organization, plus the opportunity to live and raise a family in one of the best cities in America. Our clients expect (and receive) the highest quality legal work and results, but we are not constrained by the “big firm” lifestyle. We have no billable hour targets, and no need to solicit or maintain a client base. The City believes in taking care of its employees. In addition to a competitive salary, Law Department employees have access to a terrific slate of benefit programs. The City offers several different healthcare plans to suit your needs and budget. Our group healthcare program also offers vision and dental coverage, life insurance and disability insurance options, an employee assistance program, and healthcare spending and dependent care spending account programs. The City offers a variety of wellness opportunities, including PE classes ranging from Yoga to strength training, and programs such as diabetes control, weight loss, and smoking cessation. Full time City employees participate in a defined benefit (pension) retirement program. Click this link for more details: http://www.coaers.org/. In addition to the pension benefit, all City employees can choose to participate in a deferred compensation program that allows you to put away part of your salary for savings on a pre-tax basis. To encourage smart commuting, City employees can obtain a pass to travel for free on Capital Metro buses and light rail trains. The City Hall facility where we office has locker rooms and showers, and a locked bike barn, for employees who bike to work, or like to take advantage of the world-class Lady Bird Lake hike & bike trail across the street.